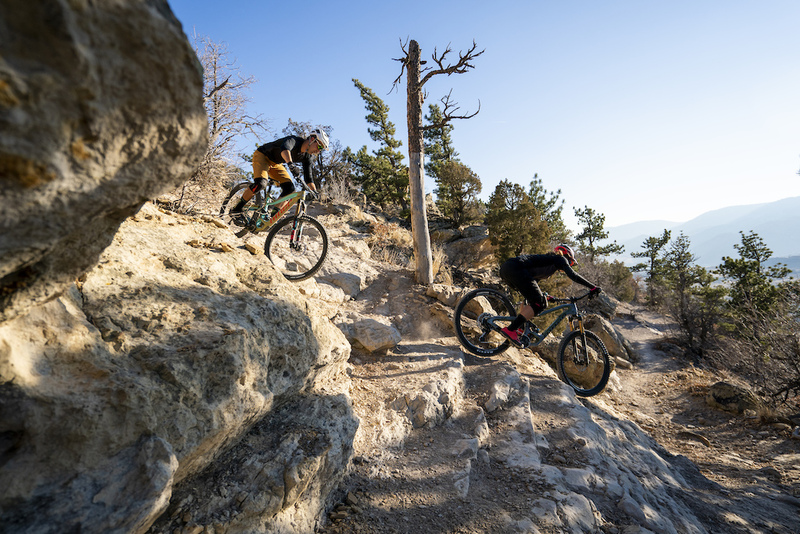 For more than a decade, the RIP 9 trail bike has ruled Niner’s off-road lineup. Our flagship trail bike has evolved once more. Now with 140mm of consistent, controlled CVA suspension, progressive and adjustable geometry, increased frame stiffness, and available in two (yes, two) wheel sizes, it’s more versatile and capable than ever before. 1. 140mm of stable yet supple CVA suspension with 150mm fork travel. 3. Longer, lower, and slacker than any Niner ever made. 4. Flip chip geometry adjustment for even MORE cowbell. 5. Wider and stiffer Rib Cage main triangle, for precise handling. 6. Durable, long-lasting Enduro Max “Black Oxide” pivot bearings. 7. Clearance for 2.6-inch tires, plus whatever mud they wanna drag along with ‘em. 8. Refined suspension curve for sensitive early stroke and supportive mid-stroke. 9. End-to-end, Full Sleeve internal cable guides and factory-installed frame protection. Choices, choices: 29er and 27.5er wheel size options. 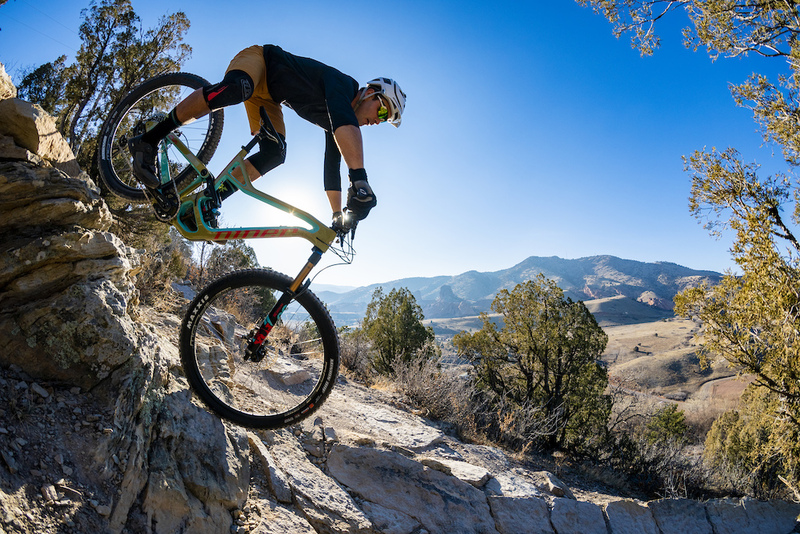 Let’s RIP (#eyeroll) this band-aid off right now: The new RIP 9 RDO is available in two different, dedicated, purpose-built platforms for 29er and 27.5-inch wheels. Yep, we gone and done did it. Over the years, riders have told us that they love the stable yet supple, consistent and controlled behavior of our CVA suspension. They love the brand. They love the designs. But they want more standover, less rotating weight, and the fast handling, quick draw agility of 27.5ers. So, they want a Niner, but they actually want a Twenty-Seven-Fiver. But one that’s made by Niner. Go figure. Well, here it is. We built the most badass non-Niner Niner we’ve ever made. Why didn’t we just make a 29er that also fits 27.5-inch wheels? Because compromises. If we’re going to do something so big (or should we say, small?) and something so contrary to our brand history, dammit, we’re doing it right. There are inherent compromises in making frames to fit multiple wheel sizes. We’ll have none of that. Two in one geometry? Yeah, we got that. Sure, it’s longer, lower, and slacker. 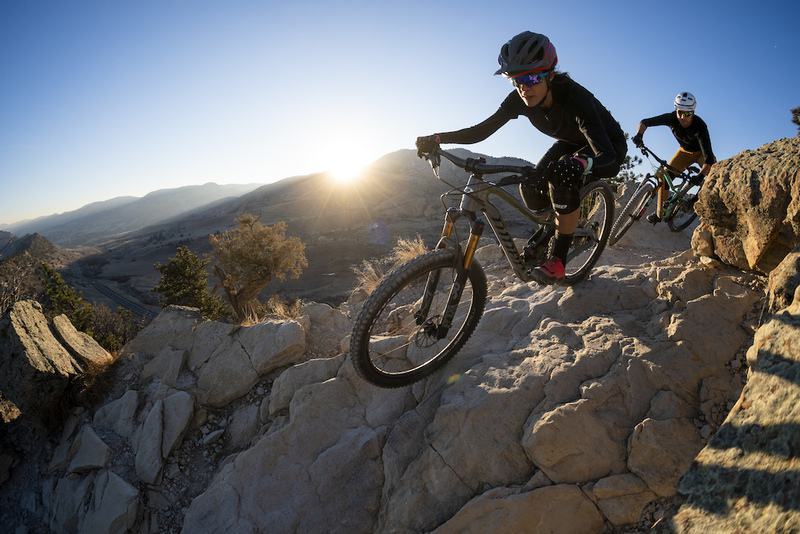 But more than that, our new RIP 9 RDO is the first Niner to have adjustable geometry via flip chips in the seat stay pivots. This brings a new layer of “one-bike-wonderful” to an already versatile platform. 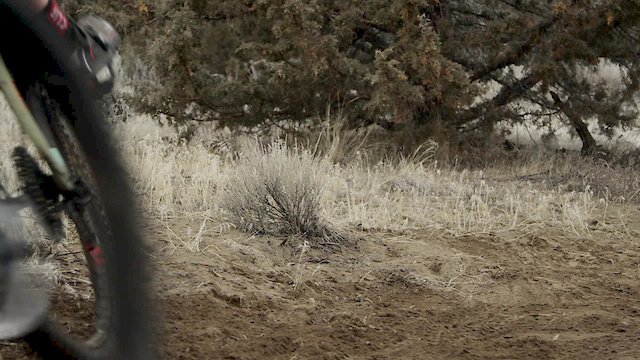 The high mode geometry is perfect for the demands of daily trail riding. 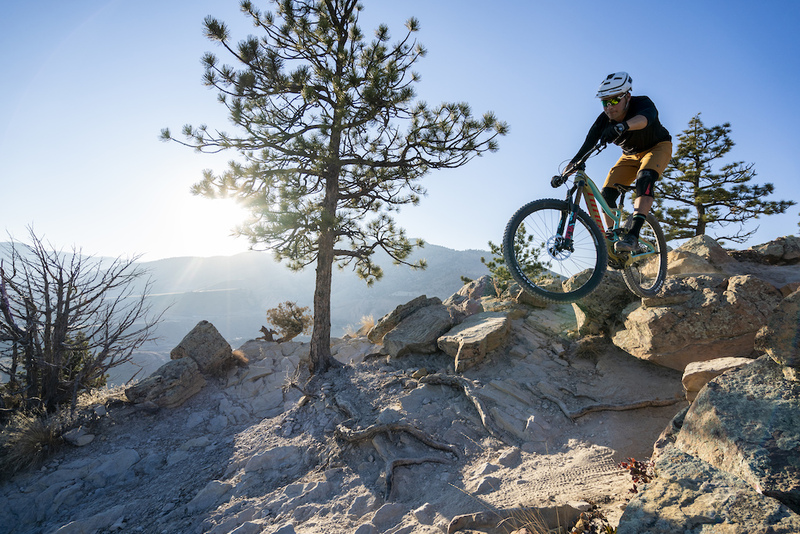 This RIP 9 launches uphill and over terrain, thanks to supple yet stable CVA suspension and a steeper 75.8-degree seat tube angle. Then turn it around, point it down, and charge with confidence, thanks to the longer reach and slack, 66-degree head tube angle. Low mode brings out the RIP’s aggro side. 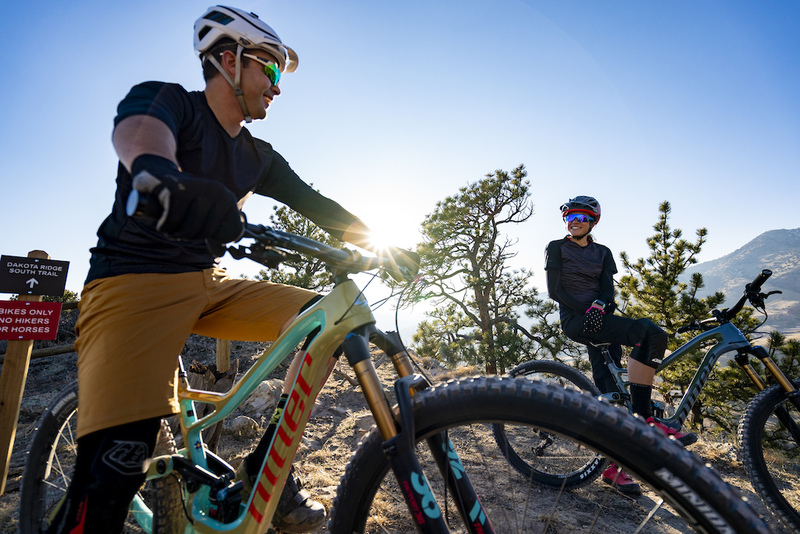 By slacking out the head angle by a full degree and lowering the bottom bracket by 7mm, RIP transforms into a virtual second bike that’s perfect for chairlift days, shuttle sessions, and secret sidecountry rides with long, rowdy descents. ●	Adjustable high/low geometry via flip chips in the seat stay pivots. ●	Shortened seat tube by 20mm to accommodate longer, 170mm dropper posts. ●	Lower stack height and shortened head tube to accommodate a wide fit range and riser bars. ●	Short, 435mm chainstays (29er). 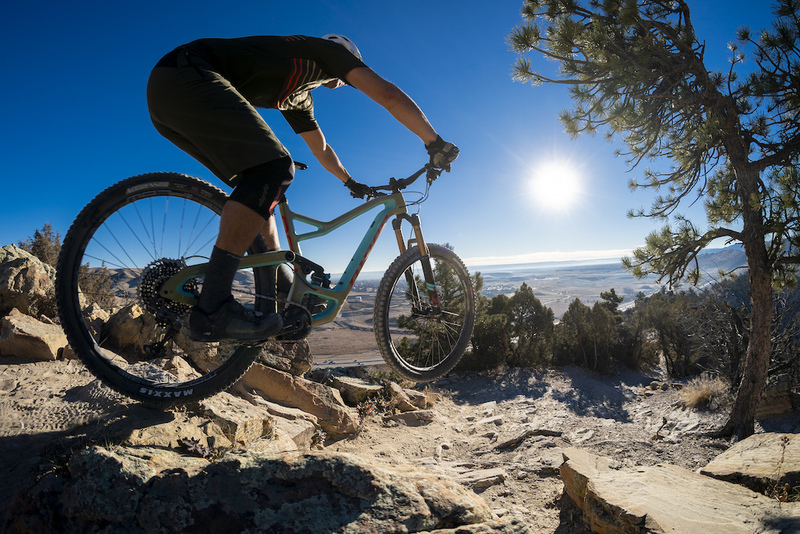 With new Rib Cage struts across the front triangle, flattening of the top and down tubes, widening the main rocker link pivot, and beefing up the rear triangle, the entire bike is stiffer from front to back. The struts reduce bottom bracket deflection while keeping the upper portion of the front triangle supple and compliant. 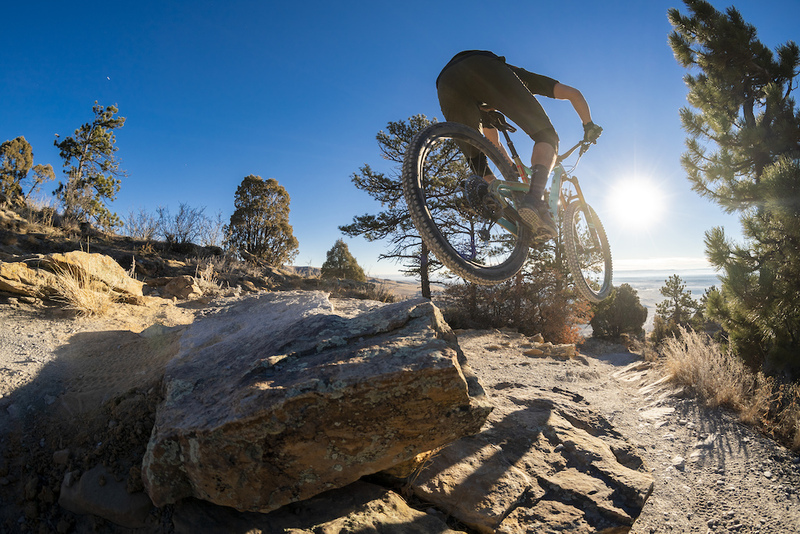 And the wide, flat surfaces found on Niner’s top and downtube help to absorb frontal impacts and vibrations while resisting deflection (twisting) under torsional load. Result? The classic Holy Grail combination of vertical compliance and lateral stiffness. #cliche #butforrealthistimeweswear. Also thanks to bulking up the rear triangle, we removed the seatstay bridge in the rocker link. There’s now tons of extra room for wider wheel and tire combinations. What about that travel? 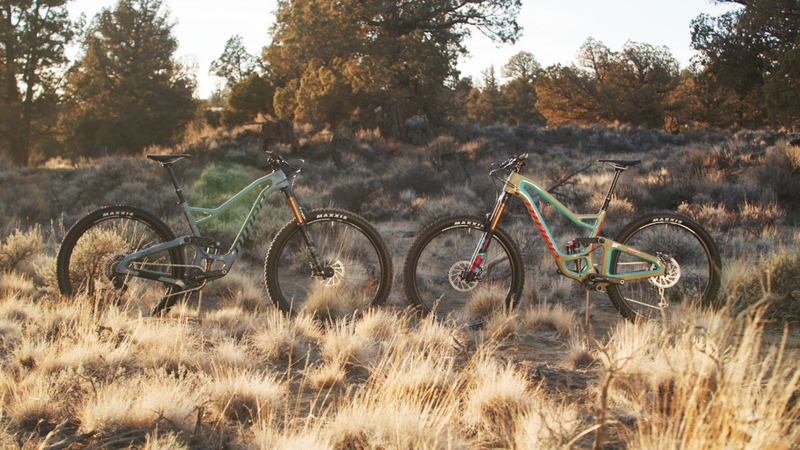 140mm is the new sweet spot for do-it-all trail bikes. Combined with the revised and adjustable geometry, this RIP 9 is stable at speed, confident when chopping through chunder, and precise at picking lines through techy “oh sh*t” chutes. 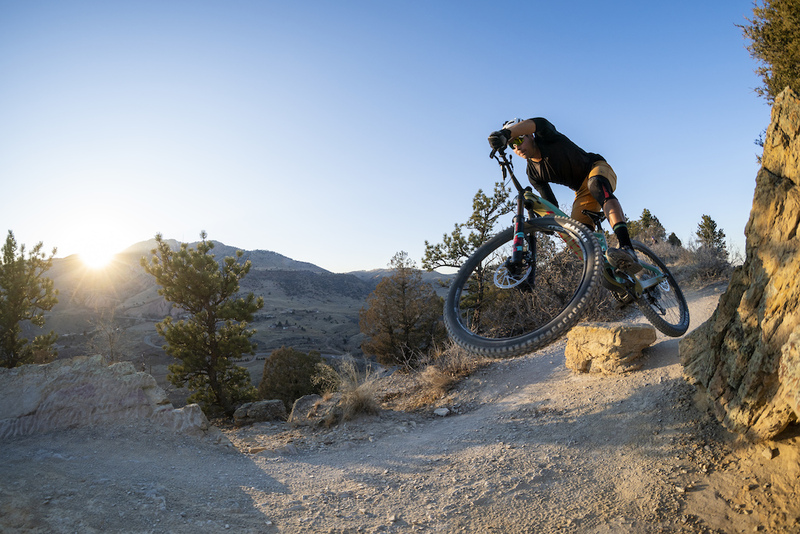 As well, the RIP 9 RDO V3’s pedaling efficiency is increased with the subtle travel reduction and tuning the CVA suspension to ride more in the mid-stroke of the shock. ●	140mm of CVA rear suspension travel/150mm fork travel. ●	Rib Cage struts on front triangle add stiffness. ●	Compact, shortened rear triangle with oversized tubes for increased stiffness. ●	Extra wide seat tube rocker link pivot with double-width bearings for torsional rigidity. ●	Sag indicator on the rocker link pivot. ●	Enduro MAX Black Oxide pivot bearings for extreme durability. ●	Massive clearance for 2.6” tires and muddy conditions. ●	Factory installed scuff guards and frame protection in key locations. ●	Full Sleeve internal cable routing from front to back - no fishing required. ●	Water bottle mount inside the main frame. ●	73mm threaded bottom bracket with ISCG 05 chain guide mounts. Consistency, confidence, and control: that’s CVA. Niner’s patented, proven, Constantly Varying Arc (CVA) suspension system debuted in 2008 and has been incrementally refined ever since. But the fundamentals have not changed: CVA is stable yet supple while climbing and pedaling; sensitive and supportive going downhill; consistent and controlled in every situation. One thing that has changed in the new RIP 9 is the new, slightly higher overall leverage ratio. Starting off at about 3.0 and ending right around 2.3 for an average of 2.55, the new, higher leverage ratio off the top makes it easier to set the shock in motion and overcome static friction. At mid-stroke, as the leverage ratio decreases toward the sag point, less rear wheel force is transmitted to the shock. So, the shock holds the rider up in the travel, giving solid mid-stroke support. And at the end stroke, the leverage ratio increases just slightly to overcome the natural progressivity of air springs and give bottomless, smooth response under the biggest hits. Confidence to drop into the biggest lines, knowing you’ll get consistency and control from top to bottom: that’s CVA suspension. ●	Niner’s proven patented CVA linkage layout and axle path remains the same. ●	Stable yet supple, consistent and controlled CVA suspension behavior. ●	Lower link under the BB allows for shorter chainstays. ●	Refined leverage ratio curve. ●	More sensitive in the early stroke and more supportive in the mid stroke. ●	Progressive ramp up at end stroke. ●	New 2-piece rocker link. ●	Shorter 210x55 metric rear shock. ●	Stock shock tune includes FOX .4 air volume reducer. ●	44mm offset fork on the 29er, 37mm offset on the 27.5er. Seems like this didn't make it to the front page yet.